“I’ll see you in court”, “I’ve placed it in the hands of my lawyers”... Expressions like these are nowadays so common that they no longer surprise us. We live in times when the presence of the courts permeates everything, so much so that we can speak of a judicialization of society. Justice without Judges reveals that legal and judicial confrontation is not a good way to resolve conflicts. Pascual Ortuño Muñoz shows us the main methods to favor negotiation, mediation, conciliation or arbitration, alternative means that seek a collaborative solution, unrelated to the emotional and economic wear and tear involved in judicial processes. 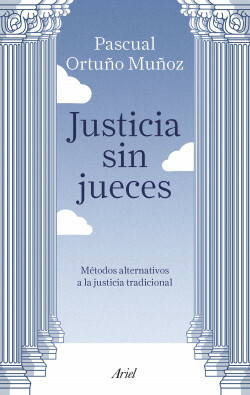 Through real cases that seemed unsolvable by means of dialogue and harmony, this informative book demonstrates that there can be “justice without judges”, understanding that there are conflict resolution mechanisms that are less aggressive or litigious, and that are based on cordiality and respect, attitudes that are advisable if one is really willing to negotiate.